Alanna is a third-year undergraduate student studying Chemistry and English Literature. She most enjoys collaborating on writing that crosses disciplines or expands her scope. She is excited to work with writing from any area, though she is most helpful on topics dealing with literature, natural sciences, and engineering. Off and on throughout the past few years, she has studied Spanish. Additionally, she has experience working with students whose first language is not English. Outside of school, she enjoys running, buying books, knitting, and gardening. Aleisha is a fourth-year PhD student in English Literature with a minor in Human Rights. She holds an MA in English Literature and a BA in Asian Studies. She currently teaches First-Year Writing and enjoys working with students on all stages of the writing process. Aleisha loves supporting students in any discipline as they develop arguments, hone their writing voices, and revise their work for greater clarity. She has an intermediate command of speaking, reading, and writing Mandarin. When she’s not on campus, Aleisha enjoys cooking, traveling, bouldering, and riding her bicycle around town. Amber is a third-year PhD student in Sociology at the U of M. She holds a BA in Sociology from The Ohio State University. Her research focuses on the social media habits of Black users and broader understandings of race online. She is interested in all types and areas of writing, but is particularly interested in personal statements and grant applications. She is happy to help in all aspects of the writing process. In her spare time, Amber likes to run, play video games, and revel in Beyoncé and things related to her. Aniket is a second-year undergraduate student from New Delhi, India majoring in Chemical Engineering. He is fluent in English, Hindi, and Punjabi. With his interest in research and STEM-focused coursework, Aniket is a great asset for students seeking help with their research papers and lab reports. However, he is interested in working with students from all majors and disciplines, and loves to read creative fiction and literary analyses. In his leisure time, Aniket loves to watch each and every kind of sport imaginable along with watching cinema from all across the globe. Anne is a Multilingual Learner Specialist who also teaches First-year Writing. She has a BA in French and English, and completed her MA and EdD here at the U of M. She enjoys working with students on anything from a thesis statement to a dissertation, a grad school application to a lab report. Anne has lived and worked around the world in international schools for most of her career and enjoys the diversity and challenge of new cultures and ideas. She also speaks French, which sometimes comes in handy at SWS! Ariana is a fourth-year PhD student in the Culture and Teaching program. She holds a BA in Global Studies with a minor in Asian American Studies. She loves supporting students from all disciplines as they develop their writing identities. She is especially happy to help students with generating and organizing ideas, utilizing theory and evidence to support arguments, managing technical elements, and exploring themes of power and positionality in writing. She has an intermediate command of speaking, reading, and writing Hmong. In her spare time, she enjoys traveling, cooking, and drawing. Asma is a third-year undergraduate student in Economics. She's an international student from Pakistan, but grew up in Qatar, Middle East. Asma is very passionate about writing and reading and would like to help students with literary analysis, creative writing, and research papers. She is most excited to help students brainstorm and develop ideas for their papers and help stimulate their creative thinking. Asma speaks English and Urdu fluently, and can read and write in Arabic with only basic conversational skills. In her free time, Asma likes to work on her unfinished novels, watch shows like The Office or a football (soccer) match and explore new places! Ben is a third-year undergraduate student studying History and English. He enjoys supporting students from all disciplines. He is especially interested in helping students form research questions which critically examine the subject of the paper from a new perspective. He also is very familiar with working with new writers and English language learners, and loves to help people discover their own voice in freshman writing seminars. In his spare time, he enjoys hiking, listening to music, and board games. Bomi is a PhD candidate in English, fluent in both Korean and English. She received her master's degree in English Language and Literature from Korea and is currently working on her dissertation focusing on Asian American literature and drama. Bomi has worked with many native and non-native English speakers as well as students on all stages of their writing, from brainstorming to revising. She always emphasizes the power of language in our everyday lives as well as in the academic setting and prepares students with effective writing strategies, challenges them while believing in their potential to better articulate their ideas. Caty is a fifth-year PhD candidate in Sociology, with an MA in Women’s and Gender Studies. Her research focuses on medicine, markets, and regulation of bodies. Originally from New York, she uses her east coast brashness to help students write in a confident, succinct, and jargon-free way that lets their ideas shine. She will gladly tackle any paper, grant application, resume, or personal statement in need of (re)organization. She is happy to help writers at any stage of their writing, and especially loves those early stages of brainstorming and outlining. Celine is a third-year undergraduate student studying Psychology and Neuroscience. While particularly interested in research papers, she is also more than happy to work on grants, lab reports, or anything of the like. She enjoys developing and strengthening ideas, as well as improving syntax and clarity. She considers herself to be an experienced cross-disciplinary student and has experience writing for a variety of Biology, Chemistry, Psychology, Anthropology, and Gender, Women, and Sexuality Studies courses. In her free time, Celine can be found petting dogs, camping, and missing their hometown of Seattle. Chip is a fourth-year PhD candidate in American Studies. She holds an MA in Asian American Studies from UCLA and a BA in History and Political Science from UC San Diego. She enjoys helping students develop their initial ideas into thoughtful and critical arguments that apply theories and concepts from a course. Chip specializes in ethnic studies courses, such as Asian American, African American, and Chicano/Latino studies. In her free time Chip plays and coaches ultimate frisbee, facilitates workshops on equity and diversity, and can be found at a coffee shop. David is a fifth-year PhD candidate (Theatre Arts and Dance) and has taught in Chicano and Latino Studies. He loves how writing can deepen artistic ideas, push creative explorations further, and guide collaborative endeavors. He is excited to work with graduates and undergraduates in the Arts, Humanities, and Sciences on developing research agendas and project proposals, and to help students use assigned writing tasks to maintain critical tension between their lives, communities, and the conditions that shape their experience with learning. He speaks Spanish proficiently and maintained steam/reactor plant chemistry and radiological controls aboard a Navy submarine before attending college. Dee is a PhD international student in Conservation Sciences interested in anything related to human-nature relation. She holds an MSc in Plant Ecology and a BA in Biological Sciences, both earned in Brazil. She speaks fluently English and Portuguese and comprehends Spanish well. She loves working with students from diverse backgrounds and helping them learn how to manage tasks used by successful writers, particularly those in environmental sciences and other STEM fields of study. She can also help students think about ways of WOWing their peers and instructors with slide presentations that are engaging and effective in communicating ideas and research findings. During her leisure time, one likely finds Dee crafting, reading, traveling, or geeking out over TV shows and Guida, her calico kitten. E is a fourth-year undergraduate student with a double major in Gender, Women's, Sexuality Studies and Family Social Science. Given their field, they have the most experience with gender and ethnic studies pieces, especially reflective pieces, but are open to working with all types of students. E especially enjoys brainstorming, creating citations, and helping students integrate outside sources and lived experiences into their writing. Moreover, they are fluent in both reading and writing Spanish, as it is their first language. In their spare time, E enjoys playing video games - sometimes even in tournaments - and reading. Elly is a PhD candidate in Comparative and International Education. She loves helping students feel confident in their writing and develop material they feel proud of. She is happy to work with students at any stage of the writing process from initial brainstorming, organizing ideas, and developing arguments to later stages of writing, editing, and revising. She is excited to support students across the university, and especially likes helping non-native English speakers express themselves through writing. She speaks Hebrew and Arabic and has traveled in Asia, Africa, and Europe. She likes eating ice cream and hanging out with her family. Emily (she/her/hers) is a second-year undergraduate student studying Linguistics and Asian Languages & Literatures (Chinese). She enjoys consulting on all types of writing but has the most experience in persuasive essays, literary analyses, creative non-fiction, and research papers. She is especially happy to help students improve syntax and grammar, organize ideas, and strengthen arguments. She speaks Korean fluently and has extensive experience supporting English language learners. In her free time, Emily can be found biking around the Twin Cities, reading, singing in her car, or, most commonly, roaming the aisles of Target. Gabrielle is a second-year undergraduate student studying Speech-Language-Hearing Sciences and German. She is fluent in German and will be taking Ojibwe starting Fall 2018. She is Ojibwe from the Red Cliff Band of Lake Superior Chippewa, and loves writing about and working with the American Indian Community. Her background in language sciences has helped her develop technical skills in APA, but she enjoys writing poetry and journaling to relax. When she is not writing, she is usually sewing, beading, or spending time with her best friends. Itunu is a third-year undergraduate studying Biology. However, she also has a strong passion for journalism and writing, especially in the area of poetry and prose. As a young child, she was always passionate about biology. It wasn't until high school that she discovered her passion for writing and performance in poetry or prose. To Itunu, writing is a form of art. Itunu has had previous experience with helping students with writing before becoming a consultant. She has since grown from her very first consultation and is ready to take on the many different areas of writing. With writing, you can never stop learning! Jacqui is a sixth-year PhD student in Sociology. She has an MS in Sociology and a BA in Sociology and Journalism. She likes working with graduate students on seminar papers, research proposals, grant and fellowship applications, personal statements, and thesis/dissertation organization and writing. And she has lots of experience working with undergraduate students on outlining and organization, course papers, and personal statements. 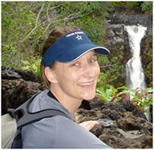 Jacqui can help with papers that utilize basic statistics, as well as papers that draw on interviews or fieldwork. Her strengths are in the social sciences, particularly sociology, anthropology, psychology, gender and women's studies, and communications. Jasmine (she/her/hers) has a PhD in American Studies (U of M), an MA in American Civilization (Brown), and a BA in Comparative American Ethnic Studies (U Washington). She loves working with graduate writers on seminar papers and dissertations, and she also enjoys supporting writers on statements of purpose and personal statements. While she works with folks at any stage of their writing, she especially has fun brainstorming and concept-mapping ideas with writers. Jasmine grew up speaking Cantonese and English at home. Jennifer D. is a PhD student in the Department of American Studies. She holds an MA in Asian American Studies and BA in English and Spanish. She has experience teaching in History, Asian American Studies, American Studies, and Writing Studies here at the U of M, UCLA, and UT Austin. Jennifer enjoys working with students throughout the writing process, especially brainstorming, organizing ideas, and cover letters or scholarship applications. She is most familiar with writing in the humanities but is also interested in working with students across disciplines. Jennifer K. is a PhD candidate in English, with a BA in English Language and Literature from Seoul National University, where she also worked as a writing tutor for a year, and an MA in English from the University of Minnesota. She has taught freshmen writing as well as various courses on modern fiction and literary theory, and is currently writing a dissertation about peripheral modernism. Though Jennifer enjoys discussing writing at all stages, helping students generate and organize ideas is her favorite. Jennifer also likes working with multilingual writers as she is familiar with their challenges and potentials. Jennifer N. is a second-year PhD student in Land and Atmospheric Science studying how urban agriculture interacts with the environment. She previously completed her BS in Biology with minors in Social Justice and Global Studies. As an interdisciplinary writer and researcher, Jennifer especially enjoys helping others identify and target the audiences of their writing. She truly loves working with students through all steps of the writing process and especially loves brainstorming and outlining sessions. In her free time, Jennifer can be found in her community garden, biking all the places, and attending *so many* theater productions. Jerald is a second-year Chemical Engineering student who, before coming to Minnesota, lived in the small, but packed, northwestern island of Penang in Malaysia for eighteen years. Having only developed an interest in writing quite recently, he understands how hard it is to write. However, accompanied by his background in the STEM courses in his major, he believes his abilities in writing and his will to teach make him a good choice for anyone needing help with any piece of writing, including STEM work like lab reports. Outside of academics, Jerald enjoys baking overly sweet desserts and listening to music. Jesse is a third-year undergraduate student in the English Department. She holds an AA degree and is working on a BA in the College of Liberal Arts. She enjoys working with writers of all disciplines, helping them to convey their messages with clarity. She is especially interested in helping writers create a clear voice and develop techniques to better their grammar. In her spare time, Jesse loves reading, crafts, cooking, and practicing yoga. 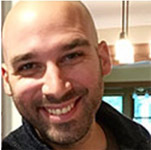 Joe has worked as a writing consultant in both English and Spanish-based writing centers with several years of experience working with students whose first language is not English. Joe speaks French, Spanish, and some American Sign Language (ASL) as well as English. He has a BA in Spanish and an MA in Spanish Linguistics, and he's a student in the master’s program in TESOL. His interests include traveling, linguistics, nineteenth-century English literature, cooking, and single-origin, two-ingredient, bean-to-bar chocolates. Kate (she/her/hers) is a Master's student in the School of Public Health. She has a BA in Gender Studies and an English minor. She is interested in policy as a solution to public health problems. Kate previously worked as an in-home mental health practitioner and as a domestic violence legal advocate. Kate enjoys non-fiction and fiction work, personal statements, resumes, policy and public health projects, and research papers/essays! She loves to help during any point in the writing process, especially during writer's block. Outside of work, she enjoys being by the water, cooking, and spending time with friends. Katie L. (she/her/hers) has a PhD, MA, and BA in English. Her dissertation was on writing center theory and practice; her MA work was primarily in Victorian Literature; and her BA included almost-minors in Music, Art History, and Philosophy. She wishes she could take more classes, including math, with which she struggles mightily. She enjoys working with and learning from writers from across the disciplines; however, she has a particular affinity for dissertation writers, having been one for so long herself. When not at the Center, Katie enjoys reading, cooking, baking with chocolate, and watching more TV than is good for her. Kerry is a Multilingual Learner Specialist at SWS. She has her MA in Teaching ESL in Higher Education from the U of M and her BS in Psychology from the University of Wisconsin. Kerry loves working with students at every stage of the writing process but especially enjoys talking about early ideas for papers and how to organize those ideas effectively. Outside of teaching, she also enjoys hiking, biking, and hanging out with her dogs, Lucy and Leia. Kim is a Multilingual Learner Specialist in the Writing Studies Department and has worked as a writing instructor and consultant at the U of M for almost 20 years. She has an MA in Teaching English to Speakers of Other Languages (TESOL) and a BA in English and Spanish. Kim enjoys supporting all student writers, both native and non-native English speakers, and has the flexibility and experience to work with both undergraduate and graduate student writers on all types of writing tasks. In her spare time, Kim enjoys her addiction to secondhand shopping and eating out with friends. When she runs out of money, she likes to cook at home from her huge collection of cookbooks. Kirsten has a PhD, MA, and BA in English Literature—the study of which has deepened her interest in the power of narrative, how writers establish voice and authority, and how writing works in the world. That curiosity about how writing works both inside and outside the University fuels her work with student writers across the disciplines, and she appreciates how much those students have taught her about culture and society, literature, education, politics, science, technology, and many other subjects. She especially loves working with writers who struggle to write (like she does), who are self-reflective about their learning, and who are willing to experiment and take risks in their writing. Lauren is a PhD candidate in the History of Science, Technology, and Medicine. She has an MA through the same program and a BA in History with a minor in Biochemistry from Texas A&M University. She taught US History and Government for two years, prior to attending graduate school. She is happy to consult on any subject, but has particular experience with writing in the humanities and sciences. Lauren enjoys both the creative (brainstorming, forming an argument) and technical points (reviewing for grammar, clarity) of writing. In her spare time, she loves running, baking, and playing with her pup, Alfie. Leah is a Multilingual Learner Specialist at SWS. She holds an MA in TESOL (ESL) and a BA in Spanish and Communication Studies from the U of M. Leah feels privileged and blessed to have the opportunity at SWS to work with writers from many different backgrounds. She is fluent in Spanish and loves to translanguage with other Spanish-English multilingual writers during consultations. Outside of the Center for Writing, Leah loves to cook, host neighbors, friends and family with her husband, and play with her two-year-old and six-month-old daughters. Lee is a PhD Candidate in Critical Literacy excited about narrative storytelling as a tool for constructing identities and communities. He previously taught high school English and Theater as well as undergraduate and graduate courses in Curriculum and Instruction. He is excited to work with writing from any area. As a new dad, he has become engrossed in children's literature when he's not spending time working in the garden, attending theater, or traveling with his partner. Liv is a junior completing a BS in Scientific and Technical Communication and a BA in English, as well as an interdisciplinary design minor. She also works at Radio K as a writer and producer for the Real College Podcast. Liv is eager to help writers with anything they need, but especially enjoys talking about structure and the research process. Liv reads and speaks Spanish proficiently and writes Spanish at an intermediate level. In her free time, Liv enjoys playing music with friends, cooking, gardening, and being outside (running, cross country skiing, snowshoeing, hiking, climbing). Maija has a PhD, MA in Theater History, and a BA in Sociology/Anthropology & Dance Studies. As a writing consultant, she believes in establishing a practice of mutual respect, empathy, and trust, as well as working with student writers to establish their agency and voice in the writing process. She especially enjoys working with graduate and undergraduate IPOC students on a variety of writing projects, from dissertation work, to shorter essays, personal and teaching statements, to grant applications, to creative fiction. As a visual learner and decidedly non-linear thinker, she is also very interested in ways concept mapping can reflect an architecture of thinking and interconnectedness of ideas to help in all stages of the writing process. Megan is a third-year undergraduate student studying Linguistics. She is also minoring in English and Asian Languages & Literature (Korean). Additionally, Megan is working towards receiving a Teaching English as a Second Language (TESL) certificate and pursuing a career as an ESL teacher both abroad and in the states. She specializes in organization and structure and is happy to work with students on everything from WRIT 1301 essays to resumes to literary analyses and research papers. Recently, Megan spent a month traveling through Northern Thailand and researching the cultural and social aspects of the rural communities found there. Meta (pronounced “May” like the month plus "Ta") is a third-year Spanish and English double major. Additionally, she is an English as a Second Language Teaching minor and is in the DirecTrack to Teach program with plans to become a high school ESL teacher. Although Meta is most familiar with literary essays, she loves to read and assist other students with personal essays. When she’s not studying, Meta likes to read, watch The X-Files, rock climb, and pipe dream about teaching abroad. Naura (“Nora”) is a third-year undergraduate student pursuing a Genetics, Cell Biology, and Development major and a Statistics minor. An Indonesian immigrant raised among international engineering graduate students in Colorado, she is semi-fluent in Indonesian and has experience working with writers from all walks of life. While Naura has primarily worked with students on technical and/or research-related papers, she loves creative writing and enjoys helping others identify and incorporate literary devices, tropes, and hidden meanings in writing pieces. Outside of writing, Naura enjoys traveling with loved ones, listening to others’ stories, solving puzzles, making origami, and learning new things. 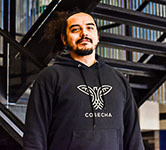 Nico is a PhD student studying Hispanic Literature with a focus on Afro-Caribbean literature. His favorite parts of a paper to assist with are idea development, organization, and general flow. Although papers related to the humanities and social sciences are always insightful, Nico would be more than happy to look at any writing project. In his free time, you can find Nico cooking, catching up on TV shows, or simply hanging out with friends. Pallavi is a third-year international student from India studying Management Information Systems & Human Resources with a Psychology minor. She is fluent in English and Hindi and has communicative proficiency in French and Czech. She likes working with students on different writing pieces such argumentative essays, academic papers, resumes, fiction stories, cover letters. She wants to help individuals to find their voice and channel their creativity in anything they write. In her free time, Pallavi likes reading, watching YouTube, dancing, traveling, and trying out new coffee shops around the Twin Cities. 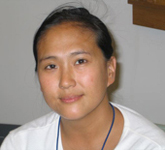 Pang is a third-year PhD student in the Educational Psychology - Special Education program with a BA in Psychology. Pang can speak, read, and write Hmong. 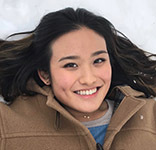 As a first-generation college student and a non-native English speaker, Pang has personal experience with figuring out how to use academic language and translating her thoughts from a different language into English and onto paper. Pang has experience writing literature reviews, research papers, and scholarship/fellowship applications. She is happy to assist you in multiple stages of your writing, especially with generating ideas and organizing your thoughts. In Pang's free time, she enjoys re-watching Harry Potter movies and Wonder Woman and doing anything active outdoors. Pierre is a third-year undergraduate international student from Lebanon studying Computer Engineering. He lived in Lebanon for eighteen years and so is fluent in Arabic and French, as well as English. Pierre’s coursework in engineering and his experience in research make him a great resource for lab reports, research proposals, and research papers in STEM fields of study. Pierre is also a strong asset for students, both native and non-native English speakers, who seek help with their freshman writing papers. In his spare time, Pierre enjoys listening to rock music, playing electric guitar, and watching European soccer. Rachael is a third-year undergraduate studying Psychology and Spanish. She enjoys the personal side of writing and loves to read others' work to experience their unique voice and style. Her strengths include organization and sentence structure, especially in critical analysis, persuasive essays, and research essays. However, she brings writing experience from multiple disciplines and welcomes the opportunity to work with all writers. She recently spent six weeks in Spain interning in a psychiatric hospital and has a strong understanding of the Spanish language. In her free time, Rachael likes to nap with her dog, watch NCIS reruns, read, and run. Rahsaan is an eighth-year PhD student in the Department of Sociology. Before pursuing his PhD, Rahsaan worked as a youthworker and social worker on the east coast. Rahsaan is a member of the Critical Race and Ethnic Studies (CRES) interdisciplinary graduate writing group at the U of M. Much of his work is informed by ethnic studies, feminist studies, and a variety of disciplines in the humanities. Rahsaan enjoys creative writing, wordplay, and treating his writing as compositions, while maintaining an iterative connection between theory and data. Outside of the Center for Writing, Rahsaan organizes with several local activists. Rye is a fifth-year PhD student in the Department of Theatre Arts and Dance. He holds an MLIS in Library Science and a BFA in Theatre Design and Production. He’s interested in supporting writers from all disciplines and at all stages of their process but is especially excited to work with writers who struggle to move from the idea generation phase to a more formal structure. He enjoys cycling, playing ukulele, and hanging out with his dog. Sarah is one of the Multilingual Learner Specialists at SWS. She holds an MA in ESL from the U of M and a BA in German and English from the University of Wisconsin. Her previous teaching and tutoring experiences make her particularly excited to work with multilingual writers, but she is happy to work with any student during any part of the writing process, from focusing and organizing ideas to discussing specific language choices. When she’s not teaching or consulting, Sarah enjoys traveling to new places. Here in Minnesota, she likes to spend time biking, camping, and browsing in thrift stores. Sen is an undergraduate student in the College of Biological Sciences with majors in Microbiology and Biochemistry. As a student of professional communication in his career/education, Sen centers his consulting work around the strategic representation of writers' passion and expertise in their respective fields. He leverages his coursework in MBA & MPA classes, research experience in microbial biotechnology, and teaching/grading experience as Lab Instructor in biology courses, to help writers with a variety of writing tasks, including personal statements, research papers, resumes, pitches, management memos, and beyond. In his free time, Sen also likes to play basketball and explore Chinese food in the Twin Cities area. 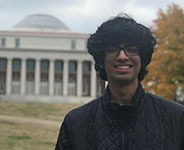 Sourojit (also goes by G) is a third-year undergraduate student studying Computer Science with a minor in Creative Writing. An international student from Calcutta, India, Sourojit speaks English, Hindi, and Bengali. His favorite part of any writing is the aspect of creativity, how a banal sentence can be turned fiery-hot without the slightest change in meaning. In his free time, Sourojit is a part of Model UN or is on the field for just about every field sport imaginable. Susan is a Multilingual Learner Specialist and often teaches WRIT 1301 in addition to consulting at SWS. Engaging with ideas, challenging students to think more deeply, and helping them discover and plan what they want to say all keep her energized. She also loves to dig into grammar and sentence structure. She holds an MA in Applied Linguistics from the University of Houston and a BA in English from Luther College. Although native to Minnesota, her teaching career started in Texas and later Portugal where she gained fluency in both Spanish and Portuguese, respectively. Outside of work, she dances, explores regional parks, and reads fiction, essays, and news sources. 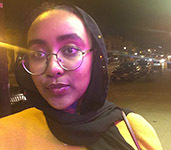 Tamira is a fourth-year undergraduate studying Afro Studies, Creative Writing, and Studies in Cinema and Media Culture, with a minor in Asian Languages and Literatures. She likes consulting on creative works, argumentative/persuasive papers, and research projects but is always ready to work on any subject or stage in the writing process. Tamira spends her down time serving as Managing Editor for Ascend magazine, collecting books she won't read, window shopping, and writing comprehensive to-do lists. Tess is a third-year undergraduate double-majoring in English and French. She mostly practices literary analysis, but she also has some experience with journalism, fiction and legal writing. While she has no strong preference for any part of the writing process, she does like discussing the logic and structure behind a writer’s ideas during the outlining stages. The scope of subjects that interest her is wide and varied. In her free time, she enjoys reading, shopping and volunteering. Tim is a third-year undergraduate student in the Theatre Arts program. While analysis and fiction papers are his favorite to consult on, Tim feels comfortable talking with students about the structure and technical details of anything they are working on. Tim has great familiarity with all parts of the artistic process--from performance writing to text analysis--making him great at brainstorming and deconstructing ideas. In his spare time, Tim makes theatre and reads. Winston is a third-year undergraduate pursuing a Neuroscience major and a Computer Science minor. He enjoys helping students with essays, applications, and multidisciplinary writing, but he is most excited to assist with writing that involves the sciences and research. In all writing formats, he wants to help students express their thoughts fully and succinctly. He hopes to contribute to all elements of the creative process, and he is most interested in organizing ideas to help the writing flow smoothly. In his free time, Winston likes playing video games, biking, and playing ultimate frisbee.